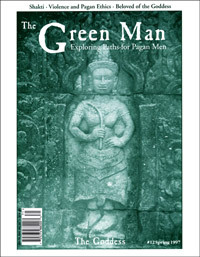 GreenMan #12 The Goddess (original) [gm12] - $5.95 : BBI Media - Magazines that feed your soul. GreenMan magazine was to be a counter point to SageWoman for men. We couldn't seem to find a market for this title at the time we were publishing them, so the this is the last issue in the series. These are the original print editions.